Most of us can relate to the experience of going to the doctor and walking out of the clinic feeling ashamed, whether it’s about our inability to put down a pack of cigarettes or lose a few pounds (It’s hard! Especially when you live so close to a deli selling the best French cheeses!). But a new study by Women’s Heart Alliance shows why it’s crucial we remove the shame from healthcare. For many women, the shame of being overweight gets in the way of regular visits to the doctor — which can be deadly given that heart disease is the number one killer of American women. It’s a sneaky disease and often has no visible side effects, which makes getting screened for heart disease all the more important. The report found that nearly half of women (45 percent) have cancelled or postponed a visit to the doctor to lose weight first. According to the survey of over 1,000 women, over a quarter of them thought a diagnosis of heart disease was “embarrassing” because people often made the assumption that women with heart disease were not dieting and exercising properly. Women clearly felt ashamed of their unhealthy habits, too, with 35 percent reporting that they’ve avoided seeing a doctor because they hadn’t managed to quit smoking. Alarming stats surfaced that showed that many women weren’t getting the healthcare that they needed: While 74 percent of women reported having risk factors for heart disease, only 40 percent said that they remembered even having a heart assessment at their last doctor’s visit. 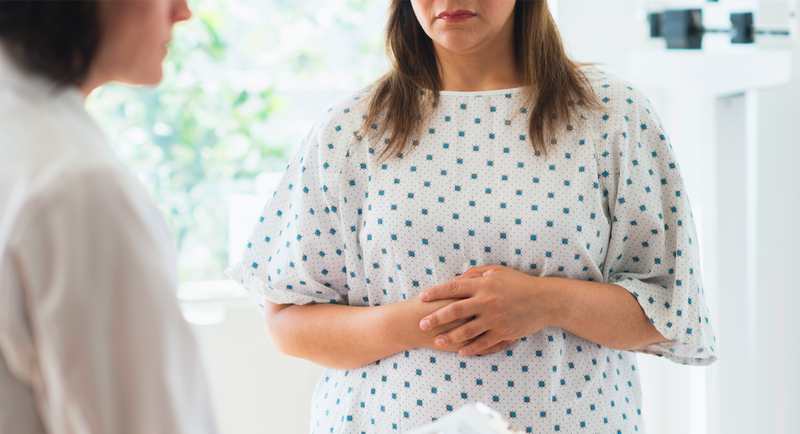 While physicians tend to get hung up on women’s weight (and obesity and being overweight, especially around your waistline, can be a risk factor for heart disease), there are other screening methods your doctor should be focusing on as well. For instance, we’re supposed to start getting our cholesterol levels screened at age 20, according to the American Heart Association (This is news to me — why have I never done this? ), and doctors should take our blood pressure at least once every two years. For more information about how to keep your heart healthy, check the American Heart Association’s website. There’s also a worrisome lack of knowledge about heart disease amongst American women. According to the CDC, only 54 percent of women know that heart disease is their biggest killer. So what can we do to keep ourselves from becoming another statistic? Focus on the factors you can influence: Monitor your blood pressure to make sure it’s not too high, check your cholesterol levels to make sure you don’t have too much of the “bad” kind, or LDL cholesteral, and if you smoke, I’m sorry but it’s time to kick the habit. The most important thing you can do though, is refuse to feel ashamed — or let your doctor shame you about your weight or habits — because shame can be deadly.